On Thursday, December 6, Charles Wofford of Hamtramck pleaded guilty to animal cruelty for using a steak knife and garden sheers to amputate the leg of his dog Mackinac. It is hard to imagine the pain and suffering inflicted on Mackinac at the hands of man. It is difficult for me to even fathom the state of mind one would have to be in to even consider doing this, much less actually carrying out the act. Wofford reasoned that the leg, injured previously, was already infected and he, frankly, had no money to pay a veterinarian to take Mackinac to the vet. That was the reasoning he used. That was his reason. Wofford absolutely, and unquestionably, needed to be charged with animal cruelty and there is no justification possible that would ever make this acceptable behavior. This needed to happen. The court system worked, in large part, as it should. 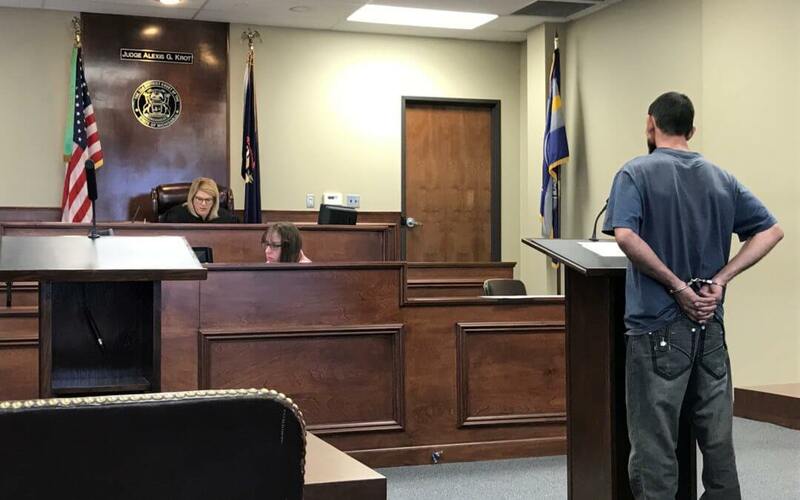 He was held responsible and, as part of his sentence, he will be prohibited from owning animals and required to undergo a mental health evaluation and follow any recommended treatment. Often, we talk about “justice” after sentencing for animal cruelty. If one were to ask me if I believed that Wofford loved Mackinac the answer would be “yes.” If I were to be asked if I thought Wofford felt he was doing the “right thing,” I would also answer “yes.” There is absolutely no justification for what he did but as unpopular as that sentiment is – it is probably true. This is more than a story of unthinkable animal cruelty. It is a story of poverty and its crippling impact on families. It is a story about access to services. It is a story about access to information. It is a story about mental illness and addiction. The story of Mackinac and Charles Wofford is one that parallels the challenges faced by our partner non-profits in Detroit. Which is why we are actively working on collaborations that can amplify our impact. MHS has met with and is working with both Forgotten Harvest and Gleaners on the issue of food insecurity – families in need are often families with pets and we have to look at the family in its totality. We have worked with both HAVEN and First Steps to support safe environment for all victims, people and pets, of domestic violence. We train law enforcement on a pet’s role in public safety and human violence. The Michigan Humane Society looks at pets as a window into the lives of the people we share this city with. Animals play a role in public safety and have an impact on public health. They provide unconditional love, an experience no family should be excluded from. Conversely, no animal should be allowed to suffer. We cannot accept that. We as a community must be able to work collectively towards addressing the bigger social issues in our neighborhoods – and recognize that animals play a significant role in them – to ensure an opportunity at a life worth living for all (pets and people). Sign up for the MHS Legislative Action Network newsletter for the latest updates on animal advocacy in Michigan.